Share, organize and manage all your documents in one place. We understand it can be confusing and frustrating to keep track of so many documents. With FirmRoom, your document management is designed to be easy to use and efficient. Maybe you need to upload 1000s of documents. Maybe you need to find one specific document. Whatever you need, FirmRoom is there to help. Our platform is easy to use with an intuitive user interface. Access your data room 24/7 from your mobile device, tablet, or computer. FirmRoom lets you easily manage documents from the moment of upload. You can set permissions, do full text search, communicate, etc. 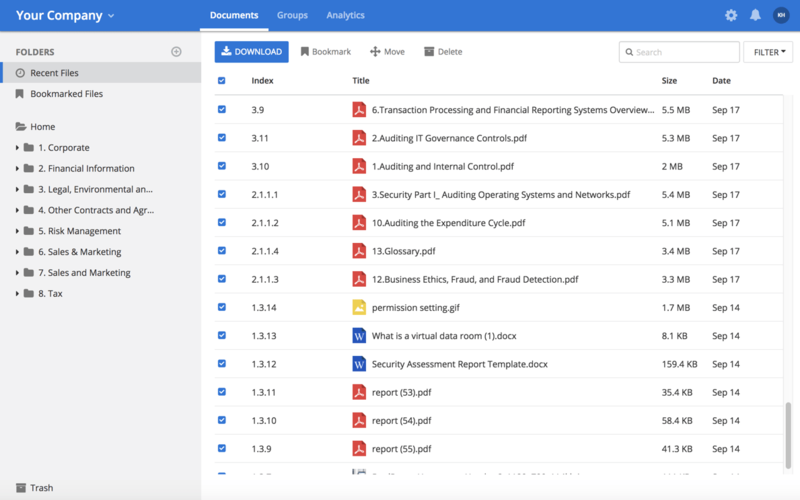 Our smart analytics let you know who viewed what document and when, as well as who uploaded and downloaded documents. Users can also use data automatically logged by FirmRoom to streamline the audit process. Never worry about document permissions again. You can set permissions to view-only, download, download with a water-mark, etc. allowing you to control what users see. FirmRoom offers traditional VDR features, and then some. Always be fully in control of who can see documents and where they are stored. 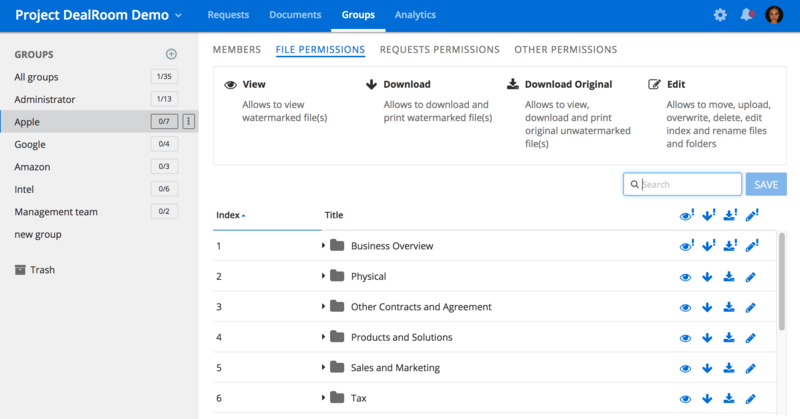 Upload documents into the room in seconds, and check permissions before anyone else sees the document. Organize and classify content with custom metadata that can be input manually. You will never need to count pages again. FirmRoom offers unlimited data storage and the ability to access content on any device. Notify team members when a new document is uploaded or shared. Leverage retention and disposition features to comply with regulations like FINRA, HIPAA, FedRAMP and more. Stressing about security is a thing of the past. 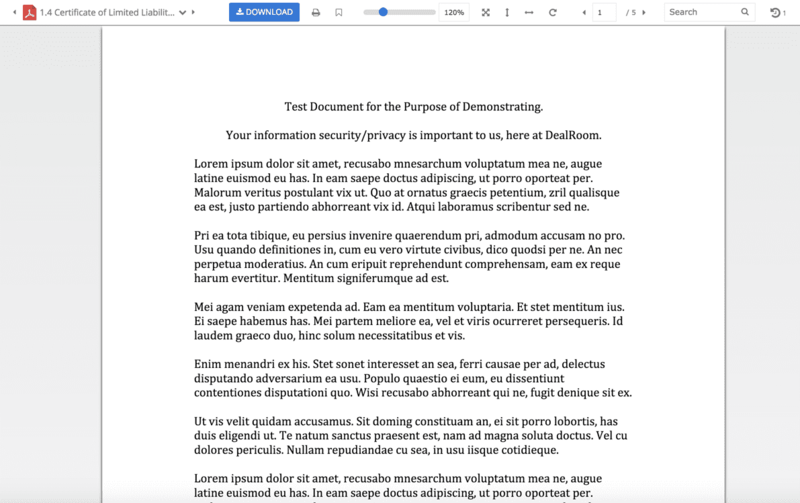 FirmRoom makes it easy to access, view, and store protected documents. You always have access to the most updated document, can see previous versions, and control the watermark. The built-in documents viewers allows you to preview excel files without having to download. You can set the watermarking as either static or dynamic, whichever meets the deal’s needs. Upload a new version of a file? Our version switcher allows you to switch between versions in the viewer.